There has never been a WORLDWIDE SCIENTIFIC SURVEY of 1,000 PRP patients! … until now. On July 29, 2018, over 1,100 PRP patients (or their caregivers) were invited to participate in the UCLA PRP Survey. While 418 (41%) opened the email, only 128 clicked the link to the UCLA PRP Survey page. Said another way: 898 (87.5%) of those invited did not respond. You have the opportunity to share what you know about your version of PRP — what worked and what didn’t work for you. Tell PRP researchers about the challenges of body, mind and spirit you faced for months or years. 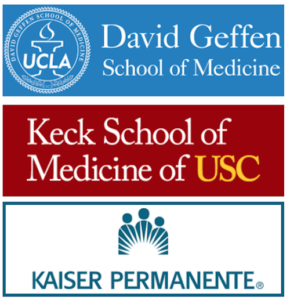 Whether “active” or “in remission”, the collective responses of the PRP community will be analysed by dermatologists and medical students at UCLA, USC and Kaiser Permanente. More importantly, the findings will be published in a medical journal. MORE GOOD NEWS: We are at 23% of the 1,000-survey goal. BRAVO to those who have responded \. CLICK the following link and read UCLA’s message to the PRP community that precedes the survey. IF YOU HAVE TAKEN THE UCLA PRP SURVEY and do not want to receive appeals via email, please CLICK the following link. REMEMBER — You can only complete the PRP Survey once.